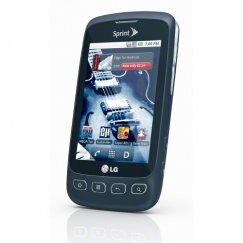 Upgrading or replacing your current cell phone with a used phone shouldn't be a hassle. At Cellular Country, we make sure that it isn't. We have a huge selection of cheap refurbished smartphones, iPhones, Blackberries, and hundreds of other phones that are ready to ship today at up to 75 percent off of retail. Cellular Country has a full range of Refurbished Unlocked Android Phones products for you to choose from. Each phone has been completely tested and inspected by an experienced technician. In the event that it doesn't meet your expectations, it comes with a full 30 day money back guarantee. It's easy to find the the cell phone or accessory you're looking for. Simply browse by carrier or manufacturer, or use our convenient search feature if you know exactly what you're looking for. If you have any questions, we are available 24 hours a day with answers. Either call us at 866 951 2355 or contact us here. We are here to help you find a no-contract phone, place an order, or anything else you might need involving your mobile phone questions.